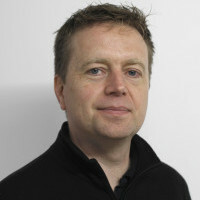 James is a games industry veteran of nearly 20 years and with that brings significant experience in running and guiding game development studios and producing games. James was in near the start of a company that eventually grew to be Kuju Entertainment, a company with around 350 staff. He produced a high number of high quality games in his career including Firewarrior, Geometry Wars Galaxies, Dark Messiah of Might and Magic, and Burn Zombie Burn. He was in increasingly senior management positions to be eventually in charge of the development and growth of full games studios. He founded groundbreaking studio, doublesix games, a new division of Kuju, which was solely focused on digitally distributed games on multiple platforms using innovative marketing and sales techniques, before leading a management buy-out of part of doublesix to form Born Ready Games which successfully launched Strike Suit Zero. James is still the CEO of BRG but is now also the CEO of Edge Case Games, heading up a team who are building the highly rated GaaS title Fractured Space, using open development, community collaboration and early access. Fractured Space went into Steam Early Access in November 2014 and yet, without spending any significant marketing money, it has been playable 24/7 ever since and has a vibrant community of players and a loyal core following. This talk will be about what Edge Case Games has done across these years which has made this possible. James will also talk about what the future plans are to not only continue, but to grow the player base, and what he has learned from recent trends in this space. Listeners should be able to takeaway actionable ideas that they can apply to their game and communities, for live games and also upcoming titles.